With Virto SharePoint Custom Mask and Unique Field Validator you can create custom masks to be used for user friendly input. Masks can be added when you create columns in your SharePoint list. Go to your list and use “Create column” button in the “Actions” menu. 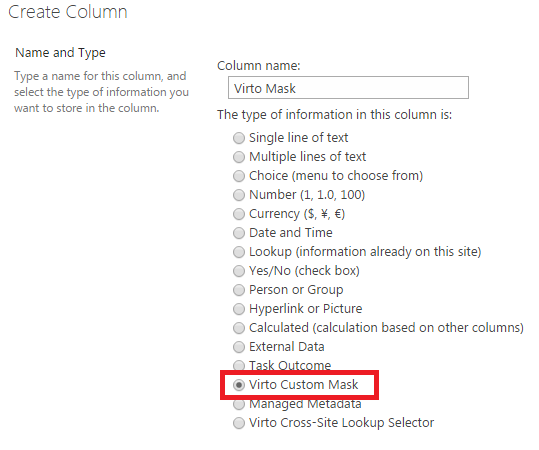 Now enter column name (mask name) and select “Virto Custom Mask” as information type.